To take on the overall event management and production of this flagship event for a large Consumer Healthcare Business, including the integration of 4 previously seperate businesses. 600 delegates from all over the UK over a 3 day period, including conference development and production, team build, entertainment, venue management and logistics. We created the theme of performance – a challenge to the business and individuals to give the performance of their lives – pushing themselves onto a new stage, with a new cast and a new script (the company vision and strategy). We did not want a traditional hotel venue, and wanted something different. So we booked Bluestone residential park in Wales, which offers accommodation in 5 star lodges, unusual spaces and outstanding activity options. 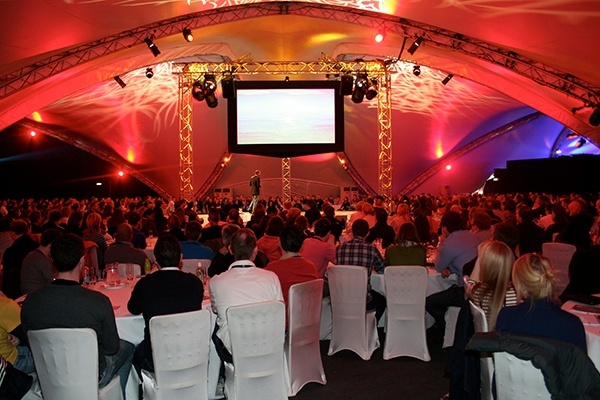 The challenge to us was the need to construct a purpose built venue within the park able to host the central conference and dinner for 600. This required extensive planning and site preparation including the laying down of new access roads and pathways to a previously unused field location to allow vehicle access for the construction and production and catering teams. The team build included activities such as archery, climbing, a high zip wire and a number of creative and mental challenges to appeal to delegates different strengths. The activities also including brand focused challenges, linking the activity back to the business performance. The team who gave the best performance won iPads. On the second night, the conference topic was about performance. We elaborated on this with a “Circus Performance them” including circus performers and acrobatic dancers and stilt walkers and a highly coloured and creative theme dressing. All turned around in under 2 hours from the conference. 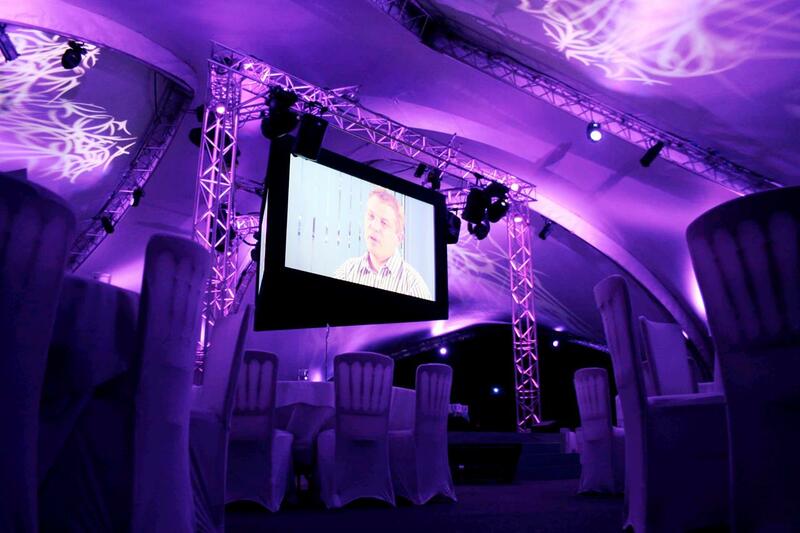 After a 3 course meal, individuals or teams received awards based on their performance throughout the year and a live band and stunning Video DJ transformed the venue into a truly mesmerising evening. 100% positive feedback from the client having met and exceeded the brief. The purpose of the conference was to officially integrate four previously separate business together as one and in doing so drive a deep level of clarity and confidence about the future of the newly combined business. Feedback gathered after the event showed a significant increase in the level of employee engagement with 90% of participants acknowledging that they felt more integrated and part of one team, 84% experienced a deeper level of understand of the company vision and future direction and 75% felt more confident about the businesses capability to win with customers as a consequence of the integration. Speak to Penguins and make the first step to an amazing live experience.